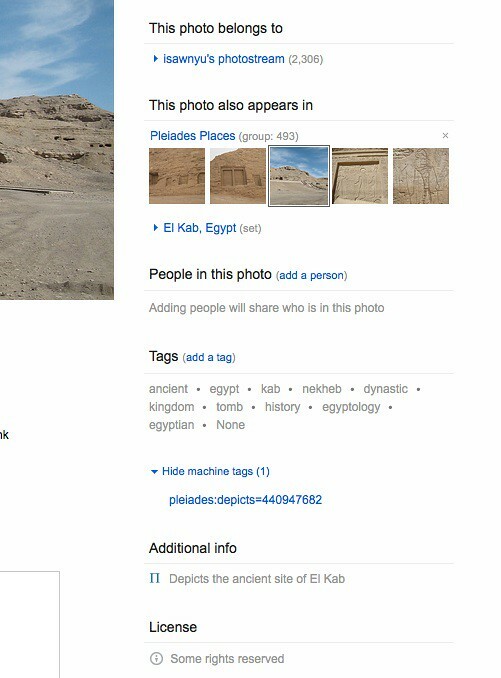 I recently asked our friend Sean from Pleiades (which I will *never* be able to spell correctly) to write up a lil’ guest post on how we did something cool with Flickr machine tags and ancient sites of the world – and here it is! applications like the digital classics network called Pelagios. agreed that would be quite cool, but weren’t really sure how to make it happen. place) would be used. Place of origin would be tagged by pleiades:origin=PID. 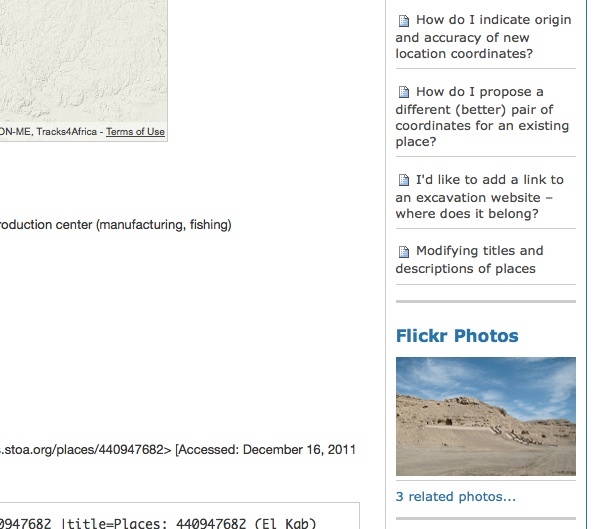 Flickr’s "not quite RDF forced into tags" infrastructure. 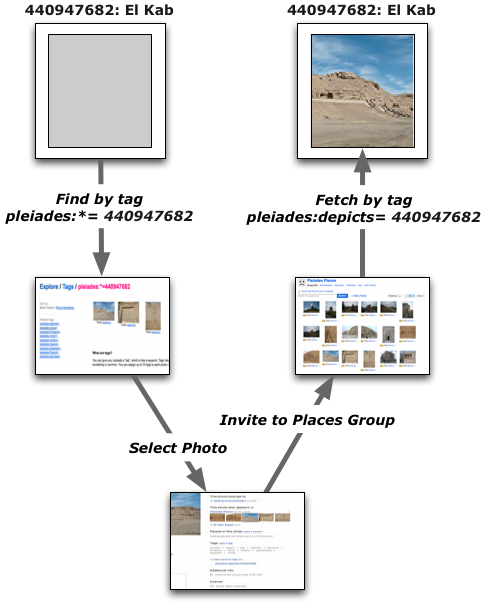 Pleiades machine tags went live on Flickr in the middle of November. the major search engines as well as through the site’s own search form. so we’ve created a Pleiades Places group and pull portrait photos from its pool. for use in the Flickr Photos portlet on every Pleiades place page. pid = self.context.getId() # local id like "149492"
The same thing could be done with urllib, of course, but I’m a fan of httplib2. or museums make of the pleiades:findspot= and pleiades:origin= tags. predicates come from a NEH-JISC project – still bearing fruit several years later.